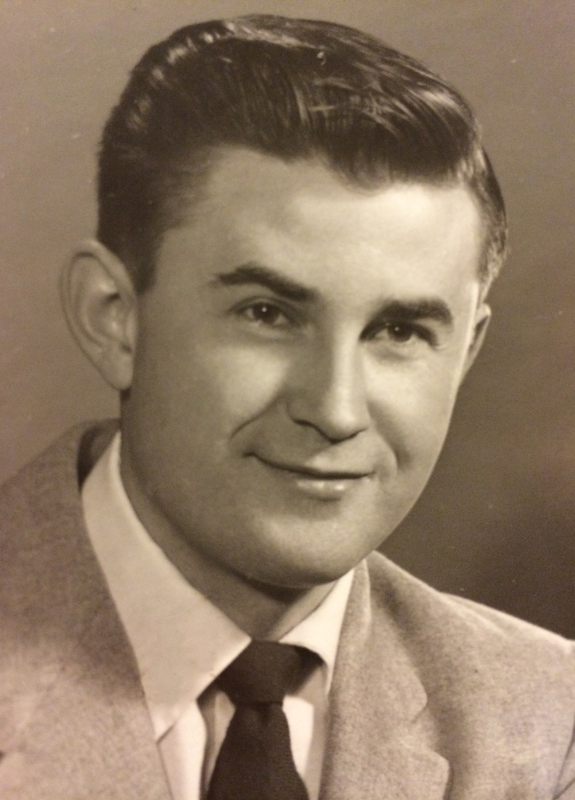 TUTTLE, JERRY, 88, of Albuquerque, died Friday, December 5. Funeral services will be held at 11:00 a.m. on Monday, Dec. 22, at French’s Mortuary on Lomas Blvd., in Albuquerque; private interment with military honors will follow at the Santa Fe National Cemetery. Dr. Tuttle was born in Long Beach, CA, on September 5, 1926, to Preston Lyons Wilson and Dorothy Tuttle. As a boy, he moved with his mother to Salt Lake City, Utah, where he graduated from West High School. Thereafter, he enlisted in the United States Navy, then the US Naval Reserve, and served during both World War II and the Korean conflict, primarily aboard the aircraft carrier CV-18 Wasp and destroyer DDE-447 Jenkins. He earned an impressive array of commendations, including the Bronze Star, the National Defense Service Medal and the Asiatic Pacific Service Medal. Between wars, he enrolled at the University of Utah, where he received his baccalaureate degree in Geography in 1950, and then Northwestern University, where he finished his master’s in 1951. Following his discharge from military service, he earned his doctorate in Geography at the University of Nebraska in 1958. In 1960, he was selected by the Ford Foundation to serve as representative to the Quadrennial International Geographical Conference in Stockholm, Sweden. Dr. Tuttle committed his career to community service, first as an instructor of Geography at the University of Boulder. In 1964, he moved with his family first to Gallup, NM, and then to Albuquerque to begin his long career with the Bureau of Indian Affairs, for which he worked as a community and industrial development specialist and program analyst. While the BIA rewarded him with its Superior Performance and Special Achievement Awards, the greatest pleasure of his work was helping and learning from his constituents in area pueblos and the Hopi and Zuni reservations, all of whom he considered friends. He was very active in New Mexico AAU (later USS) swimming and the NM Pageant of Bands, and always visible in the stands as a constant and exuberant supporter of his own and everyone else’s children. He enjoyed reading and philosophy and any occasion that would surround him with the many family and good friends made over the course of a long life well lived. He is survived by Joan Lee Tuttle, his wife of 59 years; son Jerry Lee; son Jon and his wife Cheryl; daughter Jana and her husband Jon Price; and son Jeff and his wife Kristin, as well as twelve grandchildren and four great-grandchildren. His family was his life, and what he most cherished. The link to French mortuary’s site will soon be active, if you want to share memories.